Looking for a place to dine out with your dog? The Olympia region has some of the best Spring and Summer weather and that means one thing: patios! Bring your dog along on a tour of some of some local eateries that have incorporated outdoor space into their dining area so that you can soak up the sun while you take in the smells and flavors. Three Magnets Brewery and Taproom has an enclosed outdoor space with a sliding garage door that allows you to be a part of the fun inside without missing out on the great outdoors. Dogs can even sit at the table... although it&apos;s not recommended because you may lose some food! If it&apos;s refueling you need then there&apos;s only one solution. The Olympia region is known for its legendary coffee scene! 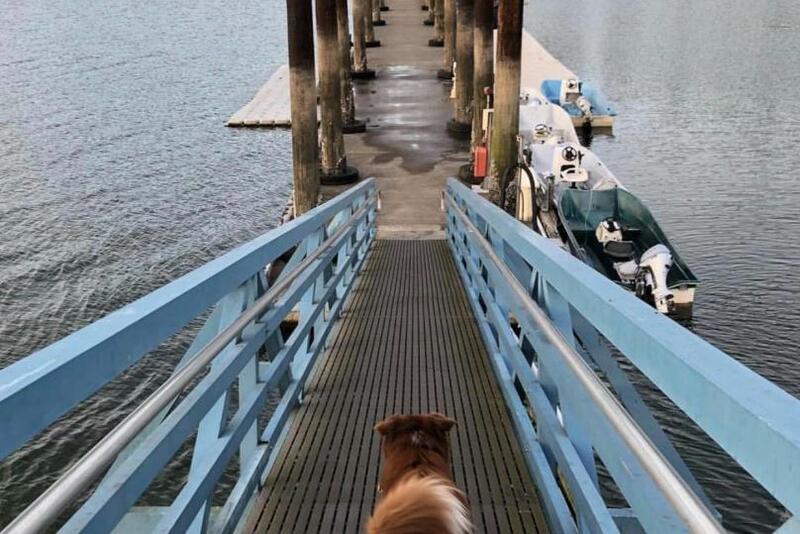 Stroll over to Olympic Crest Coffee Roasters to indulge in some of their coffee creations and the baristas might have a special treat ready for your furry friend! We get it, sometimes time is of the essence, so if you make use of the drive-through instead of going inside, they still make sure your dog is happy with a treat through the window. Dessert is always on the menu so trot downtown to the 222 Market and savor the taste of handcrafted gelato made with local cream at Sofie&apos;s Scoop! If you can&apos;t try all of the flavors before it starts to melt, your dog can lick it off of the floor. We won&apos;t tell anyone. Then escape over to Chelsea Farms Oyster Bar for a classy cocktail in their outdoor section! Looking for even more inspiration? Take some advice from these traveling experts who brought their canine pal! Traveling Newlyweds took their 65-pound Bernedoodle puppy named Sally through the region and visited some of the best spots (many of which made this list!). Ok... we don&apos;t mean literally stay in the dog house! This section is about dog-friendly hotels! Traveling overnight can be stressful if you&apos;re bringing the whole family. Each of these hotels offer dog-friendly accommodations! If you don&apos;t see something when you book your stay, be sure to call and double-check to make sure that you get placed in a pet-friendly room. Is your canine pal a beach dog? From beaches to nature trails to biking and beyond, there are plenty of places to bring your friend to roam! It&apos;s recommended when exploring that you always keep your dog on a leash, unless of course you&apos;re at the Off-Leash Dog Park in Lacey. There, small dogs are free to roam separated from the bigger pups that like to play ruff (pun intended)! For the older dog who&apos;s joints keep them a little less active, Tumwater Falls is a great middle-ground! Nestled between the old Olympia Brewery and the Deschutes River, the trail winds all the way down to the beginning of Capitol Lake presenting trail-goers with a view that will take your breath away. Believe it or not, we want to see your dog&apos;s adventures! There are lot&apos;s of ways to show off your pup and all of the fun they&apos;re having! When you post on social media tag all of your posts with #DecidedlyDifferent so others can find and share in the joy.